The first thing you notice about Larry is his eyes. His intense blue eyes. And it is an intensity he brings to his shows. I first saw Larry at the Fringe in 2015 and was really impressed. Gay Scottish working class comedians are possibly outnumbered by pandas in Edinburgh, so it was great to find someone exploring this ‘niche’. 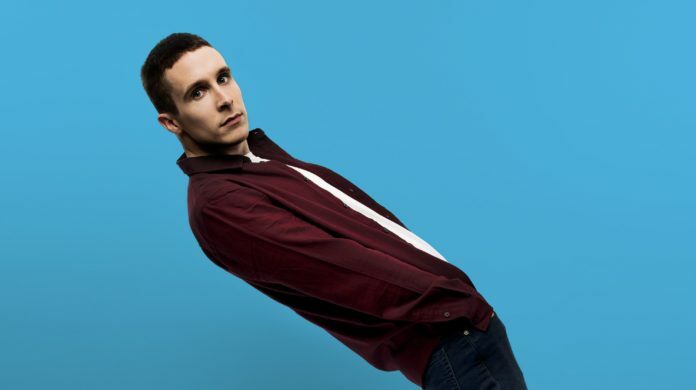 I predicted good things for him, and sure enough he has recently returned from a sell-out international tour and last year he appeared on BBC1’s Live at the Apollo and new Comedy Central UK show ‘Roast Battle’. 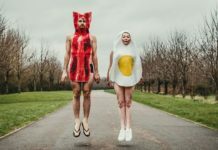 Back at the Fringe with a new show ‘Bampot’, we find out that his Fringe run this year nearly did not happen as he recently broke up with his Australian boyfriend and was worried the material for his hour long show was no longer relevant. Luckily for us, his material worked whether he was single or coupled, and the show went on with some minor tweaks. The show twists and turns through a variety of subjects including train station toilets, child therapy and confidence issues. The set-piece around his posh Mum’s Scottish accent sounding like a whale and comparing it to his Dad’s Glaswegian I had heard before; mostly at his 2015 show. But this was a minor quibble; the main piece this year about his break-up was told from the heart and endeared him to his audience. Overall, a must-see performance from a rising Scottish star who will scare, humour and get you misty eyed all in one show!